After years of working as an installation artist, Jongil Ma, started JONG, "Sculpture as Furniture". 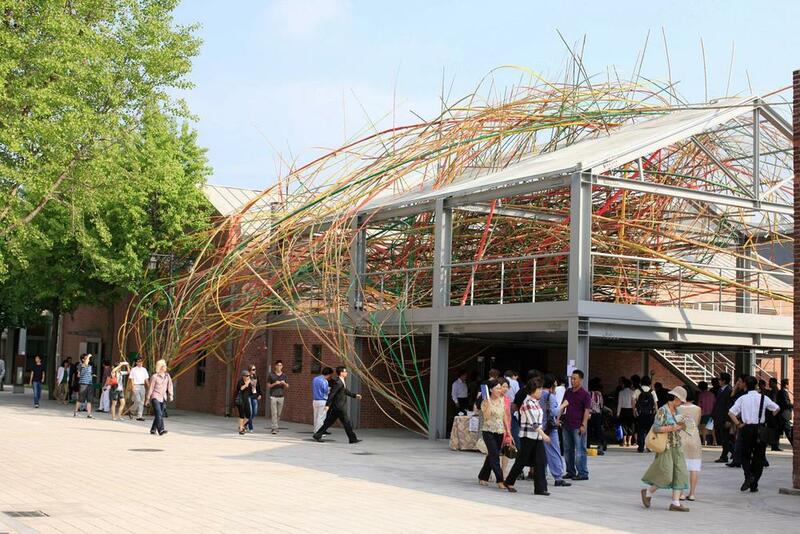 Each installation was created in response to an environment. For the over fifteen years, Jongil Ma has collected the wood from his monumental art installations. 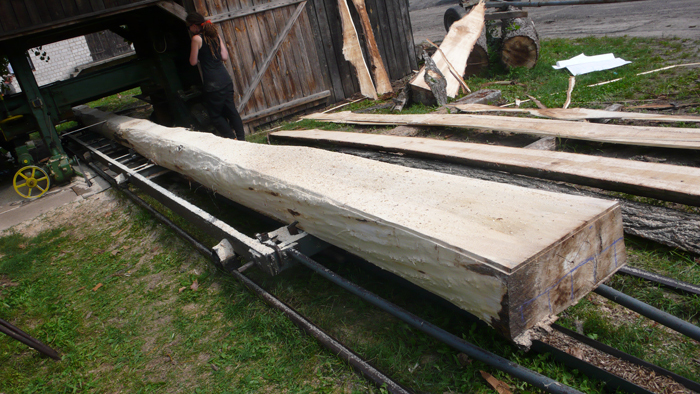 Now he re-shapes this wood into functional pieces for indoor spaces. The wood was processed by ripping large pieces of lumber or logs into strips resulting in hundreds of different thicknesses and widths. They were then woven through space to form a type of three dimensional drawing. Other solid pieces of lumber formed the larger structural elements of these installations. 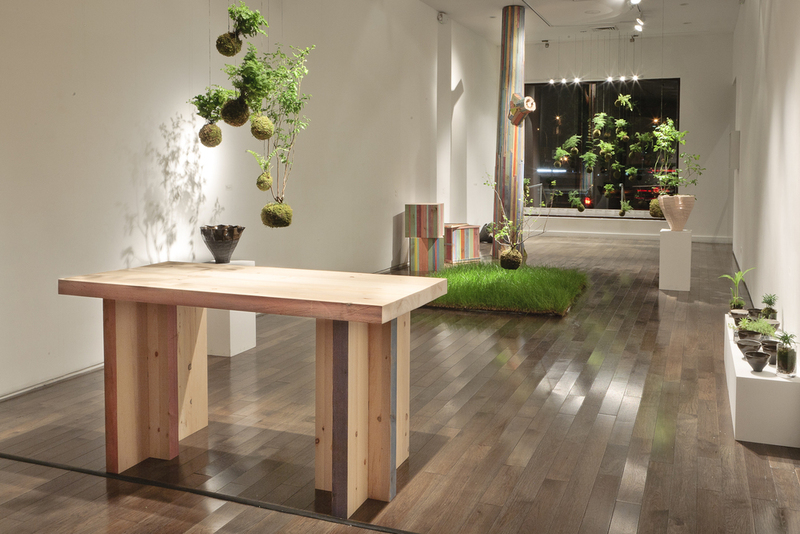 Our first JONG designs: the Cube and the Natural Wood Table. 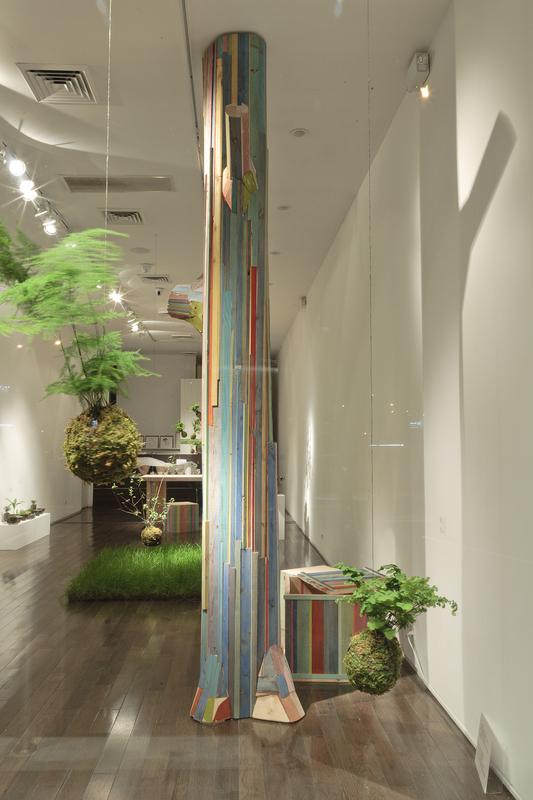 Embracing the spirit of collaboration, and aiming to reach a new audience, Jongil Ma created these first pieces as playful forms, to be included in the exhibition Terra-fic Garden: Eco Friendly Art Project at the Yegam Gallery, Flushing, NY. As our designs continue to evolve. Our original Cube and Bench pieces have become more refined. New pieces feature wood with new finishes, combined with marble, steel and bright Plexi.